Glass jar 12 oz. 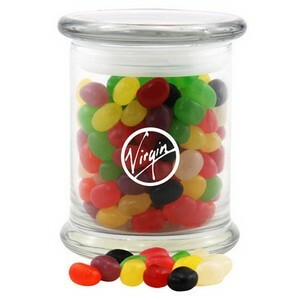 Filled with Jelly Beans. Glass Top. Bulk packed.